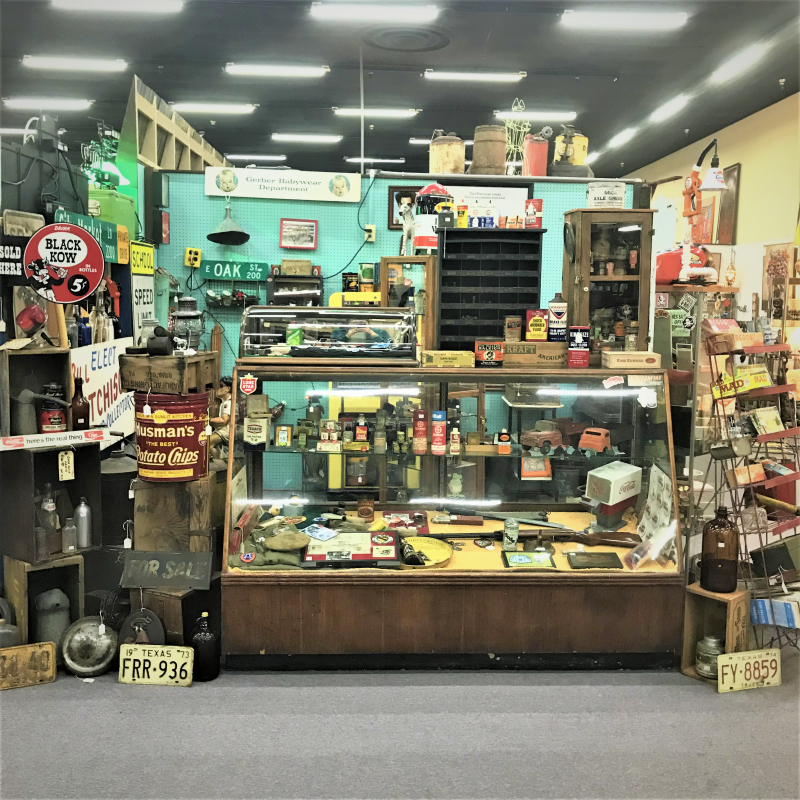 Dealer #0924 has just moved to another part of the mall. 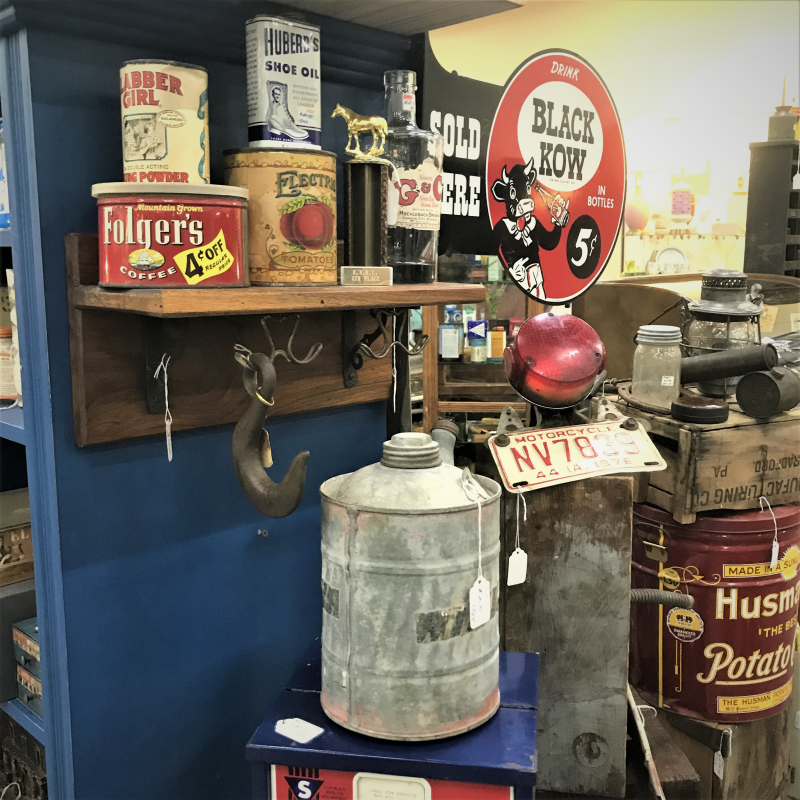 Now, there’s lots more walking room to enjoy viewing and shopping their awesome rusty relics! 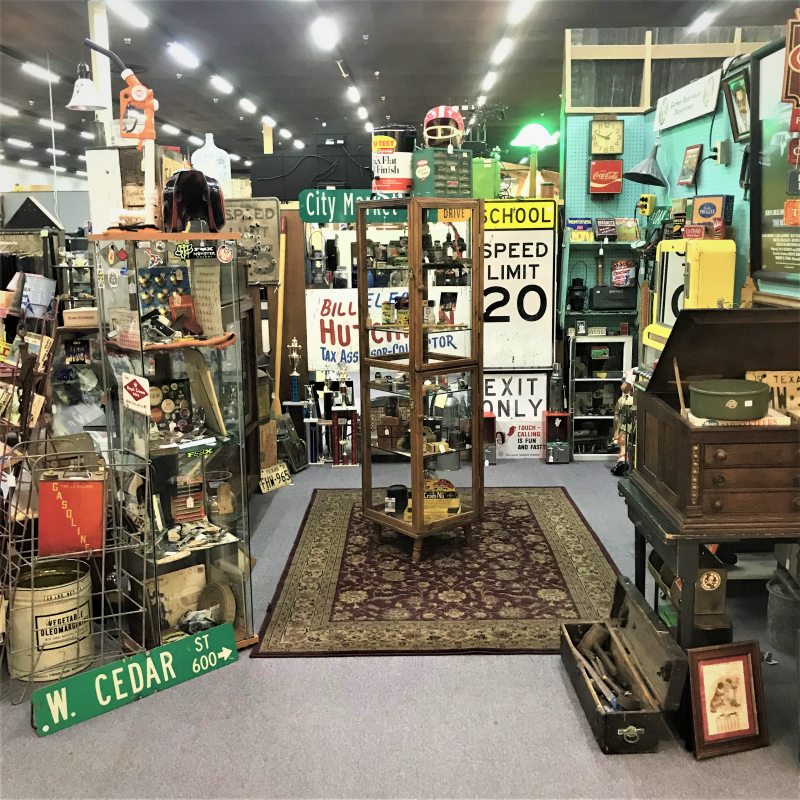 Not only has your favorite booth with all the man-tiques relocated to a bigger more open and bright booth, he’s also brought in lots of great new stuff. 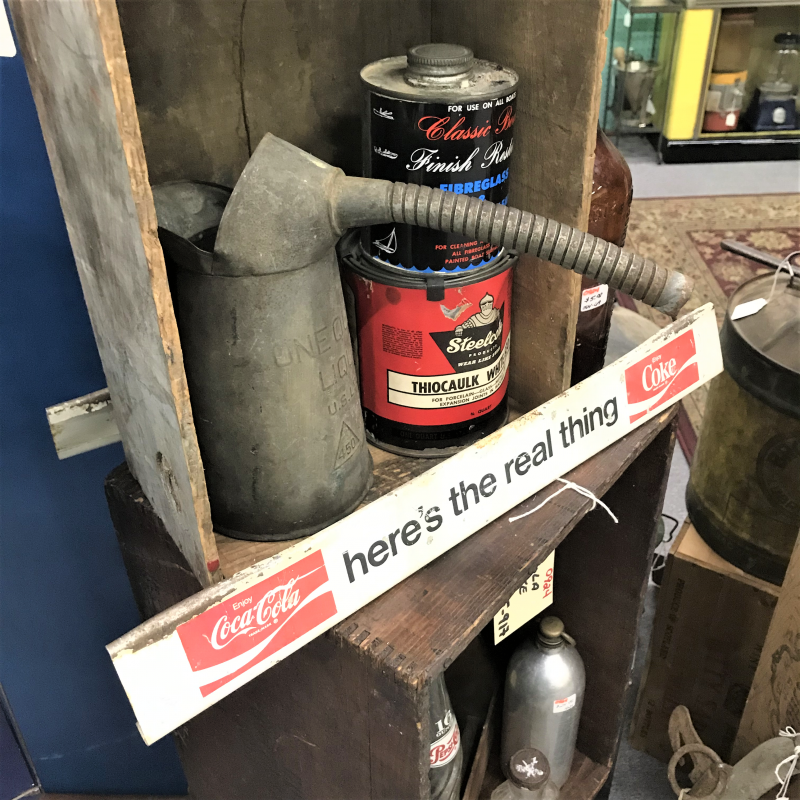 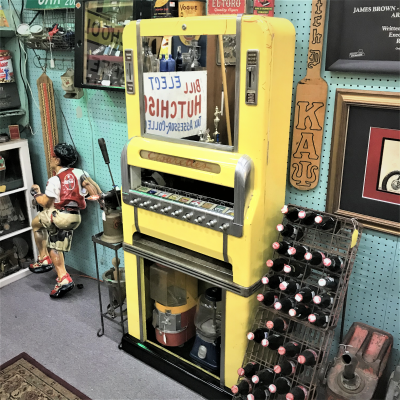 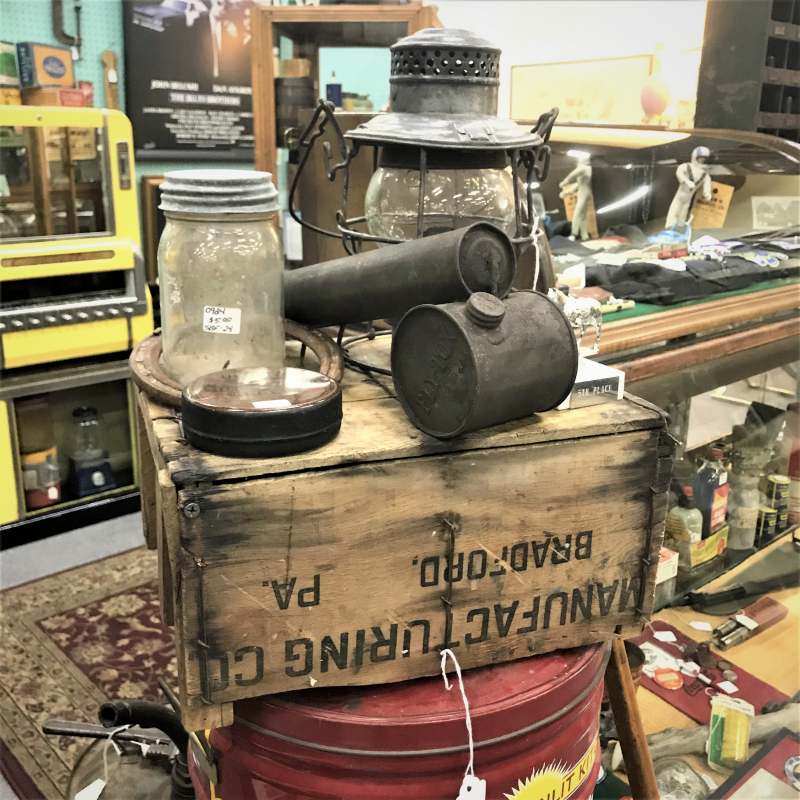 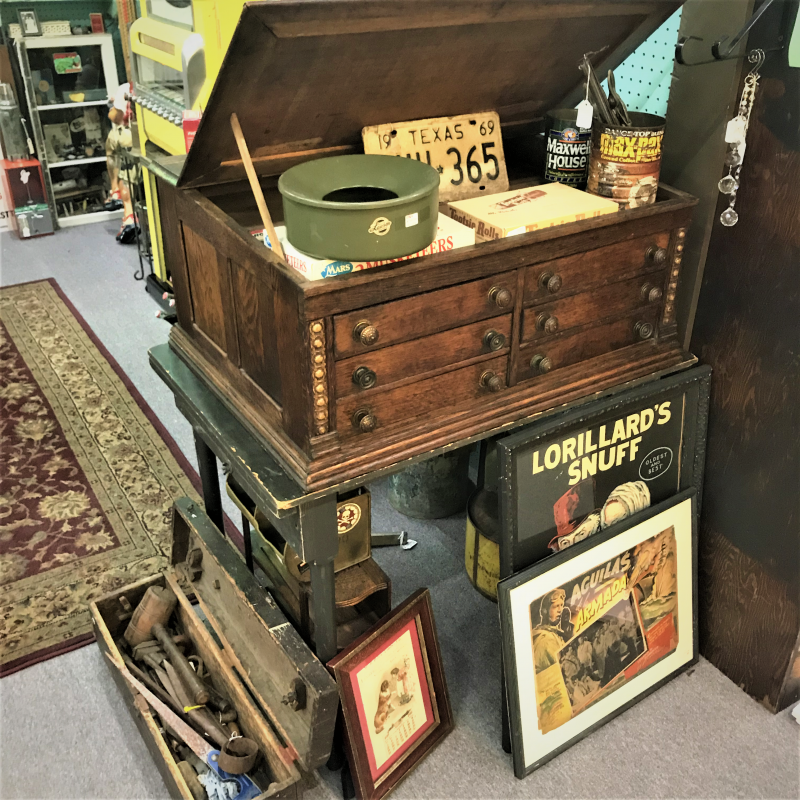 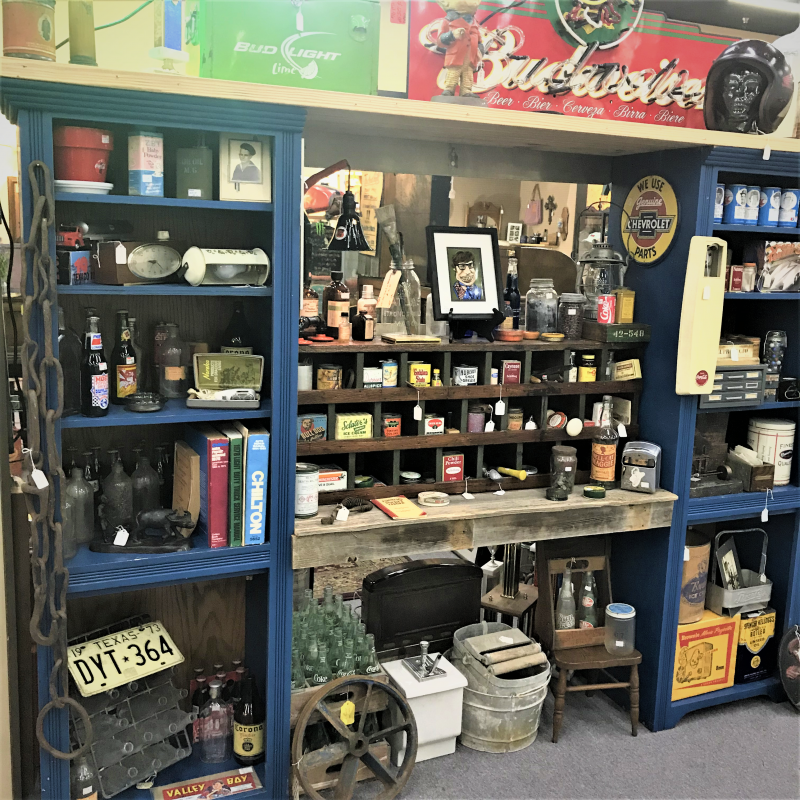 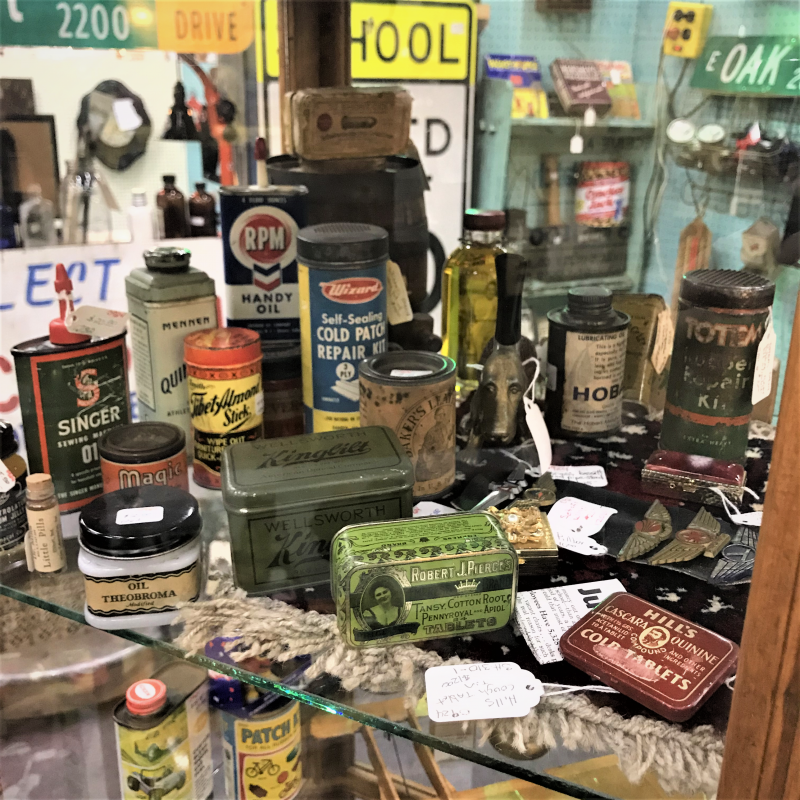 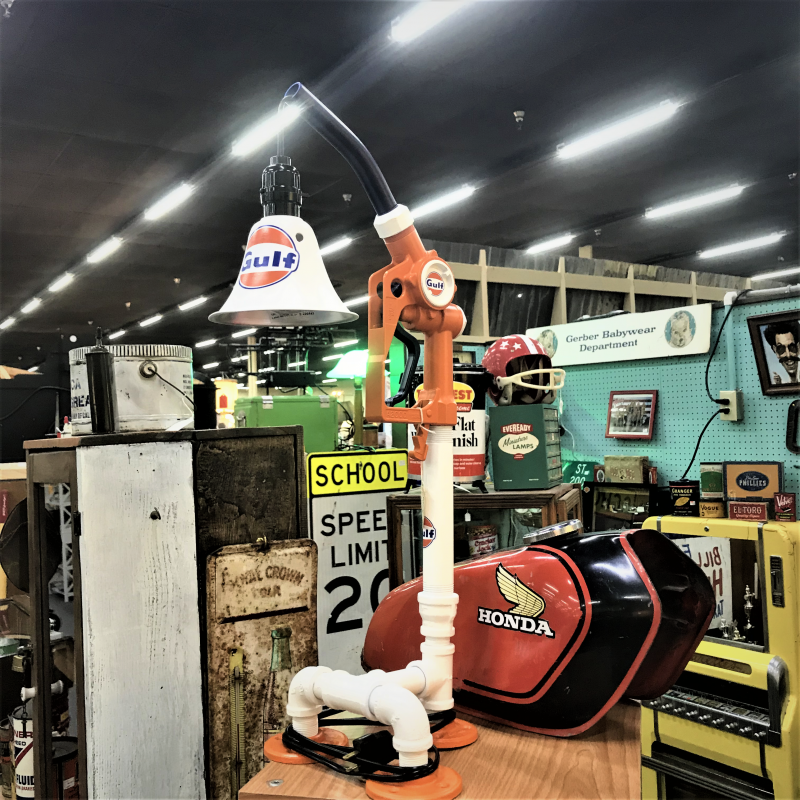 Find cool merchandise like a vintage working cigarette machine, new signs, advertising tins and statues!